My friend came to visit me recently and he was shocked to see how slim I have become. All this while he is interested in losing weight (he weighs 90 kg and it is big for an Asian) as well and he was curious how I did that. I shared with him my “secret” formula. As an afterthought, I guess many people out there who are like my friend – trying very hard to lose a few pounds but can’t see the results they wanted. Then they give up. I wanted to share with you my own experience in losing weight. This post might help you to see hope again if you failed to lose weight in the past. That’s the reason I wrote this post. First off, I will not tell you about any fad diets or magic formula pills. Neither will I tell you you can lose weight with one single superfood. Because I truly believe a balanced diet is the only way to permanent fat loss and healthy body. What I am going to share with you is what I found accidentally while I switched my diet to whole foods and 80% plant-based. I didn’t set out to lose weight in the beginning. My intention was to feed my family with healthy foods. Losing weight is a side benefit I got out of adopting a healthy family diet. I am not saying you must lose weight to be fit and healthy. Because when you eat healthy, you body will adjust to an optimum weight automatically. This is exactly what happened to me. After I changed to healthy foods, my body knew better and my weight has been reduced to 63 kg (139 lbs) since the diet change. My current weight is the weight I had when I was in university – before I put on weight after consuming too much white bread. Don’t get too hung up over your weight (also don’t over-trust figures like BMI (body mass index) as they are for reference only and not rules set in stone). 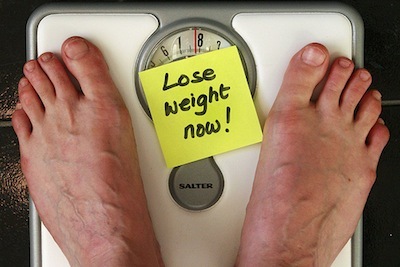 Another advice on weight loss: Skipping meals is the worst thing to do. You don’t want to skip meals but what you need to do is to replace your current diet with raw, unprocessed, and natural foods – as best as you can be. Besides foods, does exercise play a role too in weight loss? As in my case, the answer is no. I jog 2-3 times a week. Since my exercise routine remains the same throughout my diet change. I can conclude that my weight loss has got nothing to do with exercise. That simply means you can even lose weight just by changing your diet alone without exercise. But again, I am not saying you don’t need to do exercise. Both diet and exercise are important for your well-being. Let’s get down to what I did to lose 10 kg (22 lbs) in 60 days. Here is the list of what I did (not in particular order) to lose weight. Of course, I am still doing these to maintain a healthy diet. Remove afternoon snacks totally. I used to have bread or biscuits with 3-in-1 coffee. All contain super high sugar content. By doing this alone, I lost 2-3 kg in 2 weeks. It took me about 3 days to getting used to not having snacks. It’s a mental game that you have to play. In case you really can’t give up snacks, take healthy alternatives such as raw cucumber sticks and herbal tea or green tea. Reduce animal products significantly. These include meat, butter, cow’s milk, eggs, etc. We only eat animal products on weekends. When we do, we try to get free range grass-fed products if possible. Include raw foods and juices. I started to include salads and juices in our diet since the change. I take juice only for breakfast. Last week I started to include wheatgrass as part of my juicing ingredients. Increase plant-based foods. We eat plant-based foods on week days. I even try sprouting. Items always on my grocery list are broccoli, kale, cauliflower, watercress, pumpkin, eggplant, tofu, cabbage, red and yellow peppers, bok choy, celery, tomato, spinach, cucumber, carrot, lettuce, miso. Include grains, legumes, and nuts and seeds. In the past, I had never taken any of these in substantial amount except brown rice. Since the change I now include the following in my diet: buckwheat, millet, quinoa, mung beans, chickpeas, lentils, split peas, sesame seeds, flax seeds, and sunflower seeds. Take healthy fats. Yes you read that right. We need healthy fats in our body and they won’t make you fat. Avocados, olive oil, nuts and seeds. I sometimes buy Udo’s Choice 3-6-9 Oil Blend as salad dressing. On the other hand, I avoid unhealthy trans fats and saturated fats that can be found in processed and packaged foods such as frozen foods, cookies and candy, chips, and fast food. Replace bread with flourless sprouted bread. White flour is the culprit of weight gain and obesity. I stay away as much as possible from white flour-based products… and yes this includes donuts! I use healthier alternatives such as buckwheat flour and spelt flour. Allow at least 12 hours gap before breakfast. For example, if I take dinner at 7pm, I will have breakfast at 7am or after the next day. This is to allow enough time for the body to digest what I had the night before. Don’t be alarmed if it seems too many things to do. You don’t need to do it all at the same time. To simplify things, pick one change you wish to do and do it until you are comfortable. Then move on to the next change. Changes made slowly are better accepted than everything done at one go. To start off, I will suggest you take liquid (juice) for breakfast. The best is to combine fruits and vegetables although our focus here is to have more vegetables in raw form. Having fruits in your juice can be tasty and refreshing. If budget allows, get a masticating juicer such as Omega J8003. It is excellent for juicing leafy vegetables. Important: Results may vary. You might not lose as much as I did. It could be more or less. My wife has lost 4kg. Not as much as I have but what is more important is you know you have got a healthy diet and eventually a healthy body – a body that is free from disease and sickness – regardless of weight loss or weight gain. I read this book only after I experienced weight loss. I DIDN’T lose weight because I read it. When I read the book, I said to myself: This is exactly what I am doing! And I can’t agree more with what he says as far as diet is concerned. This book is about developing six-pack abs. However author Michael Geary puts more emphasis on diet than exercise. That shows the importance of diets over weight training if you want to lose weight and have a lean body. I totally agree with his principles behind what he proposes as a healthy diet – a diet that promotes permanent weight loss. Only after diets are explained in great detail does Mike talk about exercises. If you are interested in weight loss (and healthy eating), I highly recommend you to get a copy of Mike’s book entitled Truth About Abs. The diet section is so seriously good that you get your money’s worth just by reading that section only. I mean it. Note: I’ll earn a small commission on each sale that results from my link. Update: Later I wrote a review of Truth About Abs. Click here to read Truth About Abs Review.